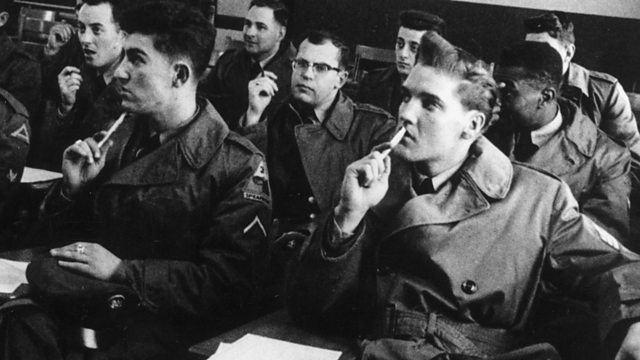 How the 'King' of Rock'n'Roll became a GI in 1958 and served during the Cold War. In March 1958, Elvis Presley, then at the height of his fame as the 'King' of Rock'n'Roll, was called up and joined the US Army. Simon Watts has been listening to the memories of the soldiers who served alongside him. The interviews are taken from the G.I. Blues of Elvis Presley, made for the BBC by Sugar Productions.